Carb cravings or sugar cravings can be incredibly tough in the beginning of a ketogenic diet but do not despair, they won’t stay forever. 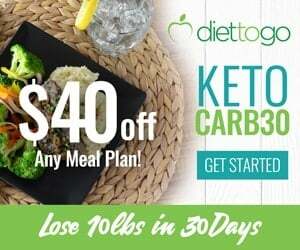 In case you’re struggling with them, here are our tips on how to deal with and eliminate carb cravings, especially when you first start the low carb ketogenic diet. Although it might seem like a good idea to slowly ease your way into a keto diet, it isn’t necessarily so. To get into ketosis, you need to severely restrict the amount of carbs that you are consuming to 20-25 grams of net carbs per day. If you’re staying at an amount that is higher than that, it might take you much longer to get into ketosis, and you might be constantly switching between your previous metabolic state and ketosis. Your carb cravings will linger on for a longer period of time. Instead, we suggest diving into keto head on and without fear! Yes, go cold turkey! The first couple of days might be a bit unpleasant, but that phase will soon be over and you’ll feel much better once you become fat-adapted. 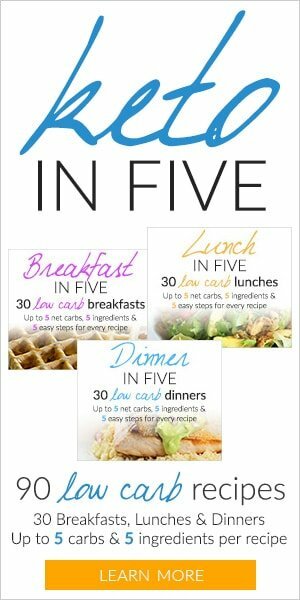 This will greatly help you control your hunger for carbs while it might be tough to deal with it in the first 3-4 days, it will greatly subside after that. Carb-rich foods are usually bigger in volume than the foods you’ll be eating on a ketogenic diet, and if you find it difficult to feel satisfied, you might want to eat to satiety for a couple of days without worrying too much about calories. However, this doesn’t mean you can eat all the foods you want or eating way more than your daily energy expenditure. You still want to keep an eye on your macros (by planning in advance and tracking what you’re eating), and especially on carbs, but if you struggle with hunger, use fat as a lever to help you stick to your diet. If your goal is fat loss, in a week or two you should limit calories because they do count, even on a keto diet. That being said, most people experience decreased hunger with keto, so you might not even want to eat that much. 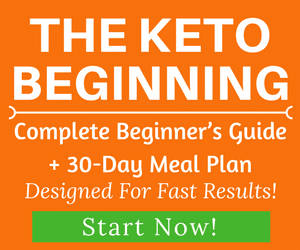 Once you switch to a keto diet, your body will need to adapt to it, and based on your previous diet, this might be a bit of a challenge at first. Going from 200g-300g to 25g net carbs per day is an enormous change. 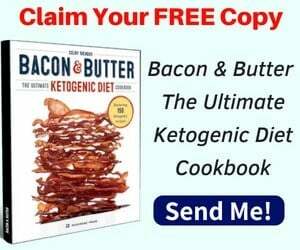 Thankfully, our bodies do an amazing job at adapting, and the keto diet is no exception. If you were eating a lot of processed carbs before, limiting them is likely to provoke some particularly strong cravings, and sugar cravings are usually the worst. There’s hope, though. These typically only last a couple of days or a week. After that, you’ll start noticing that you’re craving a whole new set of delicious foods such as roasted meat and salad, for example! We live in a world where carbs are almost everywhere, even in products where you wouldn’t expect them to be, and hidden carbs definitely have the power to bring back old cravings. What’s worse, even products that claim to be low carb are not always that low in carbs (or at least not as low as you need them to be on a keto diet). That’s why it’s best to prepare your own meals. In this way, you can accurately track and measure everything without having to decipher complex labels. As strange as it sounds, a lot of people in the keto community find that pickles are an especially effective way to combat carb cravings. Pickles are very low in carbs and in calories (although you still need to check the label because sometimes they have added sugar), and also contain a lot of sodium and potassium. Many people drink pickle juice as a way to replenish their electrolytes. In addition to that, they will help you curb your hunger in the moments where you find it difficult to control it. Cravings don’t go away if you succumb to them. It’s actually in their nature to become even stronger each time you give in. The more you feed them the bigger they become, and they’re almost impossible to satisfy. 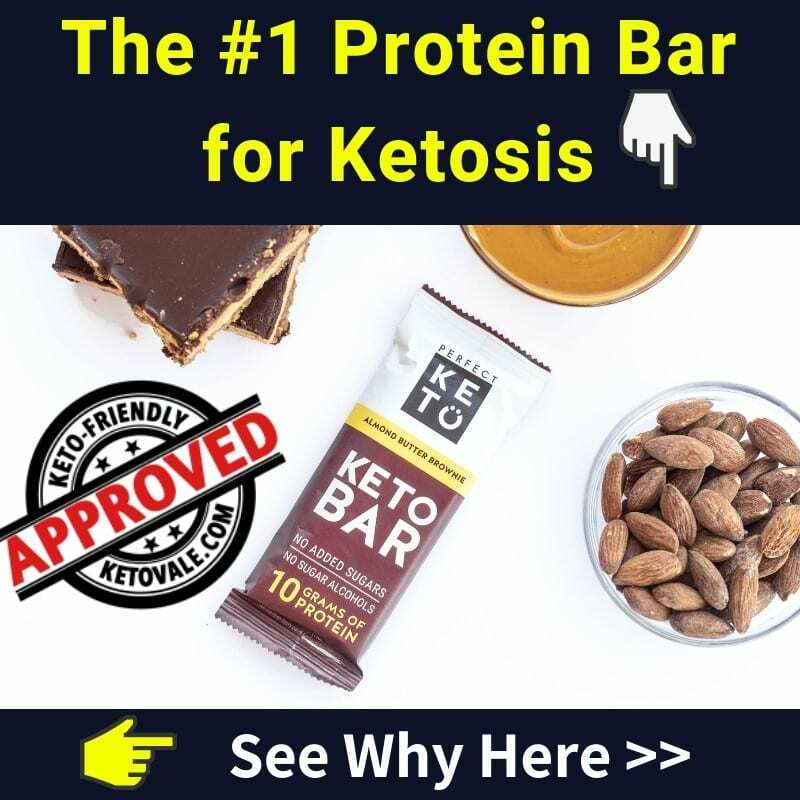 If you decide to have that chocolate brownie that you have been craving, you will very likely be kicked out of ketosis, and in addition to that you’ll soon find out that you want a second one, and also a slice of pizza, and some ice cream, and so on. If you cheat during your adaptation phase, you risk having the keto flu all over again, and you’re not helping your body adapt to burning fat for fuel. Of course, mistakes happen. If you happen to cheat, just move on and go back to eating keto foods as soon as possible. If you need a keto dessert from time to time and if it’ll help you stick to your diet, that’s completely okay. We have plenty of delicious recipes on our website that we have personally tested and we’re sure you’ll love each one of them. However, it’s a good idea to have the big part of your calories come from simple, satisfying dishes with lots of meat, eggs and veggies and healthy fat. Whole foods will give you all the essential nutrients you need, while also keeping you full for long periods of time. If you’re really missing pizza, ice cream or sushi and cannot imagine your life without them, just relax! You can actually make fabulous keto-friendly versions of these foods. Fat bombs can also help with sweet cravings. This will allow you to still enjoy special treats from time to time without cheating (and without all the negative side effects). They can help you stay on track and curb a specific craving while staying in ketosis. Next time when you crave something sweet, try drinking 1-2 glasses of water instead. Notice how this reduces the craving altogether. Keep a glass of water next to your bed to help you deal with craving during the night and remember to drink water first thing in the morning when you wake up. #10. What Do You Really Crave and What Are You Trying To Satisfy? Food cravings actually have a lot to do with your emotional state (1). 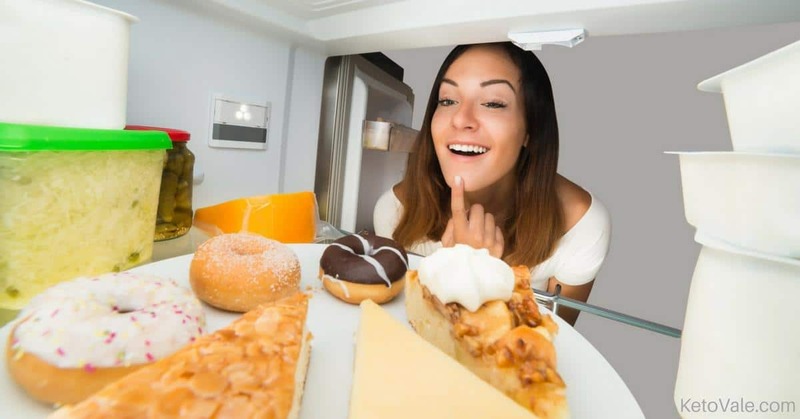 Research reveals that when you crave for something, you are trying to satisfy an emotion depends on the specific emotion you experience at that time. When you look for salty foods, you try to satisfy boredom, crunchy foods for anger or frustration, spicy for excitement or intensity and sweet for joy and contentment (2). Basically, you are feeding your feelings, not body. You are feeding your emotional hunger, not physical hunger. Physical hunger comes on gradually and can be satisfied by any number of foods while emotional hunger feels sudden and urgent and caused by very specific cravings such as chocolate, pizza, or ice cream. When your cravings arise, pay attention to what they are triggered by and acknowledge it. Ask yourself what psychological needs you are trying to fulfill by eating that food, and then find a better and resourceful solution to meet that need. Maybe taking a walk, going for a run or talking to your loved one can help you meet those emotional needs. A recent study published in PLOS ONE journal showed that taking a 15-minute walk can reduce the craving for sugary snacks in overweight people (3). When cravings arrive, instead of thinking of cheating on your diet, ask yourself why you started keto in the first place. Think about your goals and the benefits and reasons WHY you want to keep going. 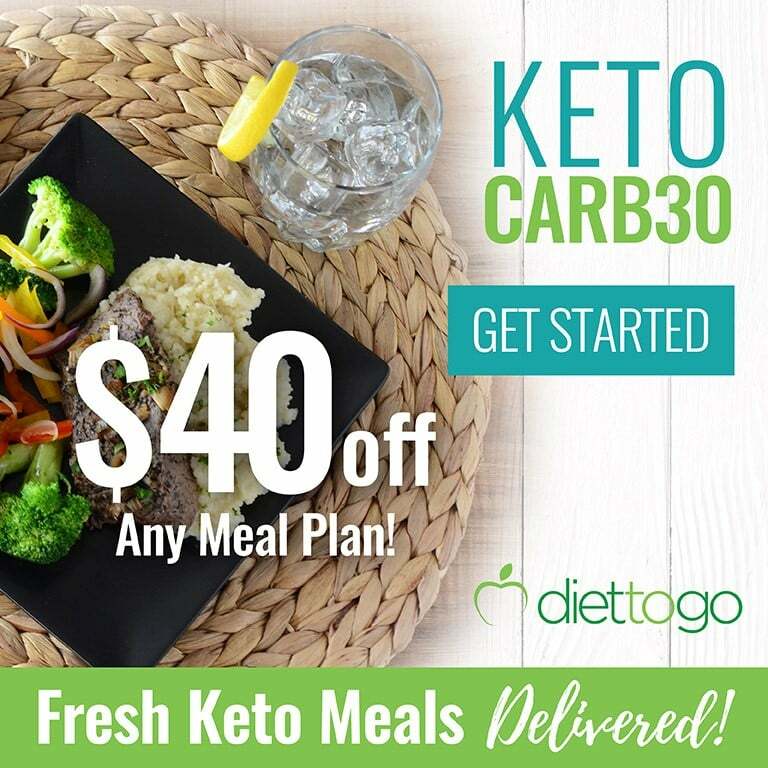 Instead of thinking about the things you can’t have on keto, start focusing on the amazing and delicious low carb foods you can and want to eat. In our meal plan section, you’ll find plenty of great recipes to choose from. Food cravings will subside but your goals and the person you want to become will always be there waiting for you. Keep fighting and pushing every day and you will get there. Keto on!